Reading Science looks at the distinctive language of science and technology and the role it plays in building up scientific understandings of the world. It brings together discourse analysis and critical theory for the first time in a single volume. 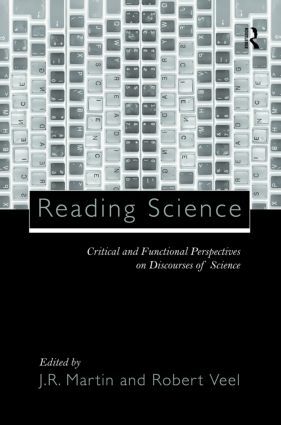 This edited collection examines science discourse from a number of perspectives, drawing on new rhetoric, functional linguistics and critical theory. It explores this language in research and industrial contexts as well as in educational settings and in popular science writing and science fiction. The papers also include consideration of the role of images (tables and figures) in science writing and the importance of reading science discourse as multi-modal text. The internationally renowned contributors include M. A. K. Halliday, Charles Bazerman and Jay Lemke.